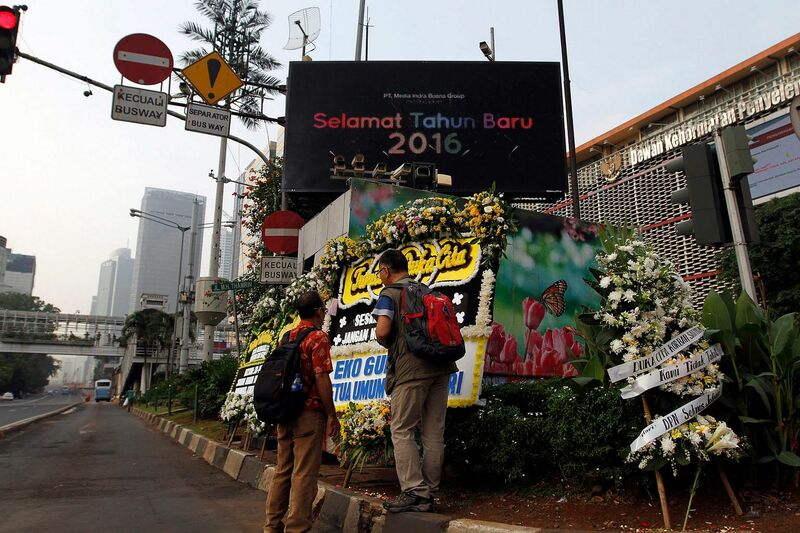 Jakarta attacks: Is ISIS presence in South-east Asia overstated? A series of deadly suicide bombings and shootings in Jakarta have killed at least seven people, and been claimed by Islamic State in Iraq and Syria (ISIS). At first glance, this seems to confirm that long-held worries of a full-blown ISIS campaign in South-east Asia were well-founded but, viewed in context, the picture looks rather different. ISIS is undeniably active to some extent in Indonesia and South-east Asia more broadly, and it is known to have recruited fighters from the region. It was recently reported that two suicide bombers who mounted attacks in Syria and Iraq were from Malaysia. South-east Asia has an enormous Muslim population, and its states have long had trouble with separatist or terrorist Islamist organisations such as Jemaah Islamiah and Abu Sayyaf. That makes the prospect of a domestic struggle with ISIS in Indonesia all the more alarming. Efforts to head it off are well under way. Malaysian police recently confirmed the authenticity of a leaked memo warning of imminent suicide attacks in Kuala Lumpur, while Indonesian police reported arrests of potential ISIS-linked militants planning to attack Jakarta around the New Year celebrations. The police and world media alike have already speculated that these attacks may be in some way connected to that same intelligence. Other countries in the region are concerned too. The Australian Attorney-General ominously announced that ISIS is planning to establish a "distant caliphate" in South-east Asia, which clearly would be a disaster. This fear is fed by worries that young Indonesians are being radicalised and recruited by ISIS, especially through social media, where certain Malaysians and Indonesians fighting in Syria have won large followings. The number of Indonesian fighters estimated to have joined ISIS in Syria is between 500 and 700; Malaysia follows with roughly 200, with an additional 120 arrested before they made it to Syria. Elsewhere, Thailand is host to a separatist Islamic insurgency in its southern provinces and recent ISIS videos have emerged subtitled in Thai. In the Philippines, existing separatist groups such as Abu Sayyaf are increasingly being linked to ISIS. To try and assuage his people's worries, Indonesian President Joko Widodo (known as Jokowi) has called for more resources to be dedicated to the issue of returning Indonesian fighters and agreed to regulations allowing for passports to be revoked. He has asked the military to be diligent against attacks and it has planned exercises in areas with groups potentially linked to ISIS. He has also been pushing a "soft approach", focusing on how cultural and religious approaches should be used, and poverty tackled, to reduce radicalisation. These efforts are all sensible enough but if we only stop to take stock, it actually seems as if ISIS' presence in Indonesia and South-east Asia may have been somewhat exaggerated. First of all, there is no sign that this is a mass insurgency waiting to explode. An estimated 500 to 700 fighters sounds like a lot as a raw number but, relative to the Indonesian Muslim population of roughly 200 million, it's vanishingly small. While ISIS has now apparently claimed responsibility for the latest attack, the attack seems to be on a smaller scale than anticipated. ISIS still seems to have a relatively small impact on the region and seems to present only a minor threat. This all recalls the heyday of Al-Qaeda, when much ink was spilled over South-east Asia potentially becoming another major front in the war on terror - something which never came to pass. As (editorial fellow at The Atlantic) Edward Delman has pointed out, Indonesia's social and political cultures have plenty of capacity to fight back. He points in particular to Nahdlatul Ulama, a large organisation that spreads ideas of compassion - an important bulwark against radicalisation. And as a Muslim-majority democratic country, Indonesia has the opportunity to make political space for people to vent their dissatisfaction. Even when ideas are relatively extreme, they can still be discussed and discredited within the normal political framework. This isn't to suggest that complacency is acceptable, and that extends to security measures across Indonesia and South-east Asia as a whole. But the gap between fear and reality is not to be dismissed either. We should avoid assuming the worst about the region just because it is host to large, Muslim-majority countries - or dismissing those countries' ability to fight violent radicalism themselves. •The writer is a doctoral researcher in international relations, University of Birmingham, United Kingdom. •This article first appeared in theconversation.com website which carries analysis by academics and researchers.